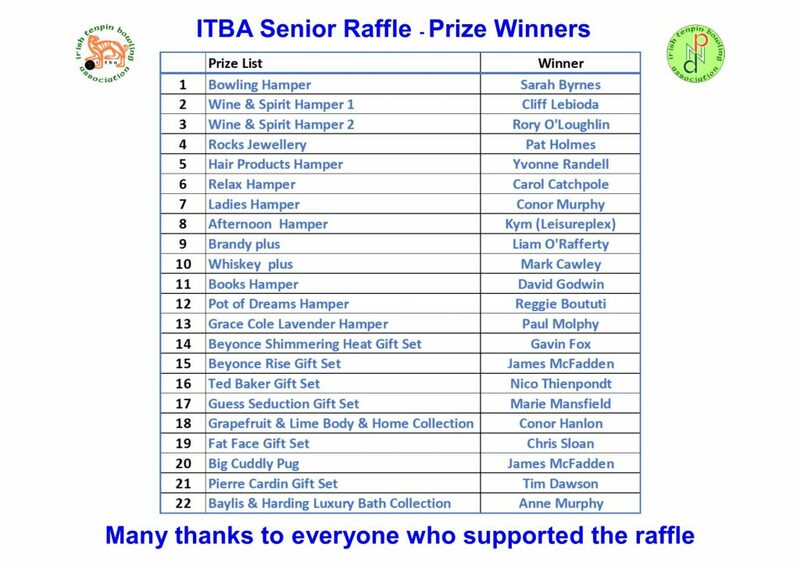 The ITBA Senior committee would like to thank everyone who supported their recent 2019 raffle. 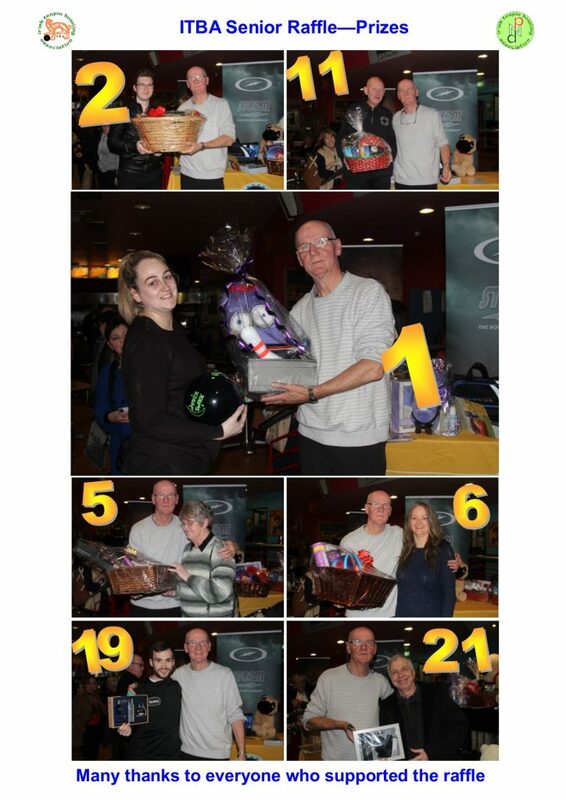 Bowlers bowl 4 games to qualify, enter as often as you like. Bowlers enter on their highest established average over 21 games. New bowlers enter on a 150 Average. There is a Maximum 5 pin drop on entering average after the twelve games for handicap purposes and after every four games thereafter. Visit the Leisureplex page for further details & entru form. The Bowling Eliminator event at Dundonald International Ice Bowl is the second event of the new 2018/2019 Northern Ireland Tenpin Bowling Federation Tour on Sunday October 14th. The event will commence at 9:30am, check-in 9:00am. Entry fee for the tournament is £35. Closing date is Midnight on Thursday October 11th 2018. Player handicap is taken from Current Tour Average / Highest League Average, 2017/2018 NITBF National Ranking Tour Average (24 games), ALSAA Drop-In-Singles Average (15 games), Rocks Jewellers Tour average (15 Games). In the event of a tie for high game/series the prize is awarded to the player with the highest overall series in the respective section. Team Northern Ireland Ranking Points will be awarded on the 7 game total pinfall (scratch) for those eligible. Those participants wishing to receive Team Northern Ireland Ranking Points should be a current member of the NITBF. The Blaze Grill September Singles Tournament at Lisburn Bowl is the first event of the new 2018/2019 Northern Ireland Tenpin Bowling Federation Tour on Sunday September 30th 2018. The event will commence at 9:00am, check-in 8:30am. Entry fee for the tournament is £35. Closing date is Midnight on Thursday September 27th 2018. Player handicap is taken from Highest League Average from 2017/2018 season, 2017/2018 NITBF National Ranking Tour Average (24 games), ALSAA Drop-In-Singles Average (15 games), Rocks Jewellers Tour average (15 Games). 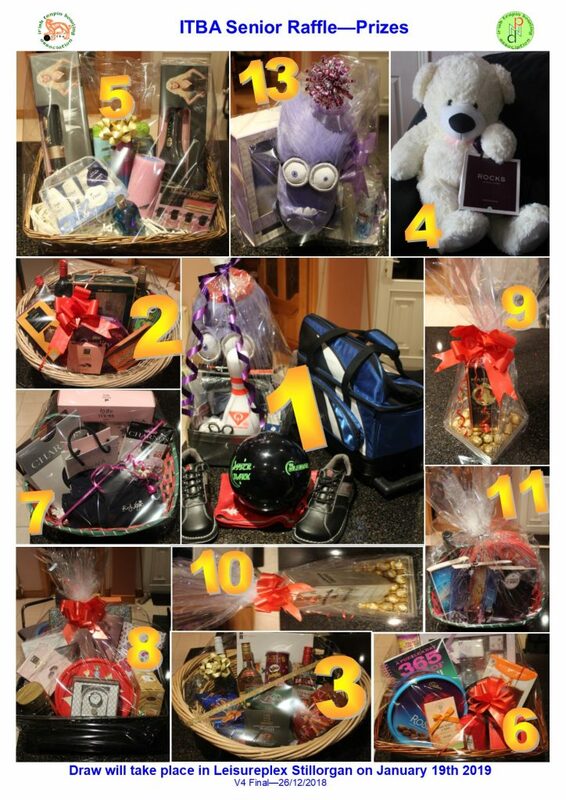 In the event of a tie for high game the prize is distributed equally between those participants.